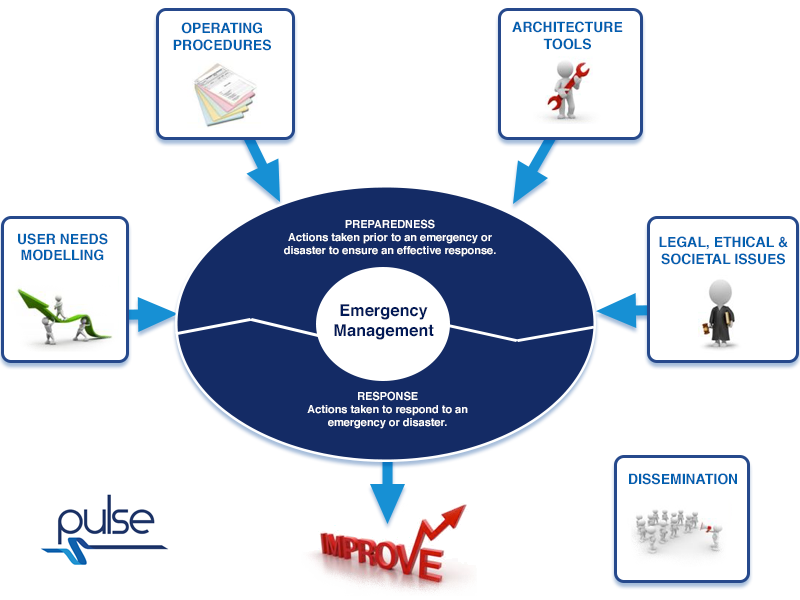 In addition to delivering key technological outputs to improve major crisis preparedness and responses, further aims are that the project can deliver improvements on existing technologies and methodologies which are most important and appropriate to partners and end users in general. Furthermore, the active participation of end users presents the project with a number of essential paths for user adoption across Europe. The PULSE project also allows participants to share knowledge, expertise, foster relationships, and potential future research for future collaborations. In addition, the interoperability and cross border EU-wide aspects of the project, ensure an ability to prepare and react in a consistent manner during a major medical emergency. Finally, the sharing, comparing and assessing of different countries approaches to emergency management, strengthens the understanding of what is required within Europe to ensure an effective, speedy response by Europe as a whole to a crisis.